The new Volkswagen Touareg ranks in top luxury midsize SUVs. Stylish and elegant design makes it more attractive. Our ranking is based different published reviews and experience shared by test drivers of the Volkswagen Touareg. It was previously names as Touareg 2 and in 2010 Volkswagen Touareg with new attractive style, luxurious and comfortable cabin, new and improved off-road abilities as compare to other SUVs. The only disadvantage is below the average fuel economy and slow engine. Considering the price of Volkswagen Touareg, it is the more affordable SUVs in its class with high off-road capabilities. The other more expensive TDI diesel model option is relatively affordable and has much better fuel economy. 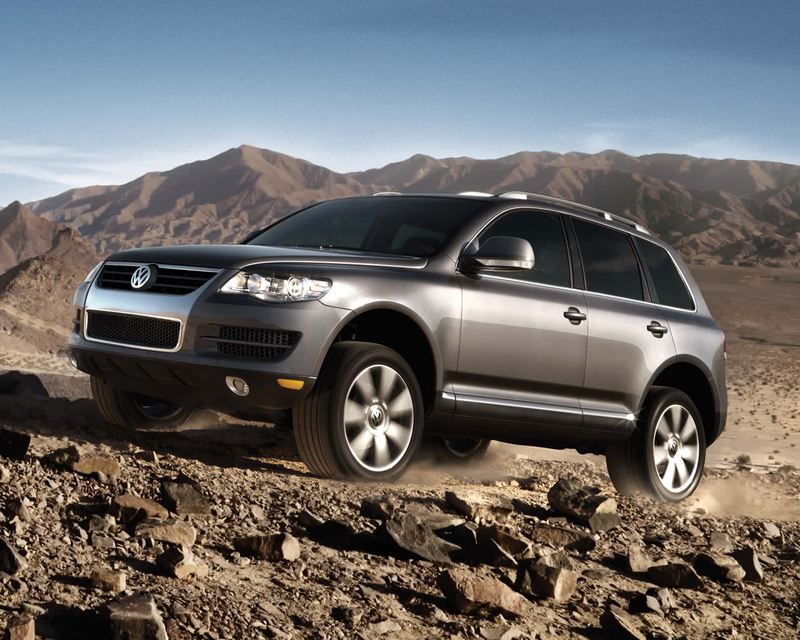 The four-wheel drive system is standard in Volkswagen Touareg, and it is the strength of Touareg in rough terrains. In this price, no other SUV offer standard four-wheel drive system. We recommend the diesel powered TDI model because the fuel economy is one of the highest in its class. If you are buying the base model, then fuel economy is worst. The fuel consumption analysis for the base model shows 14 mpg in city and 19 mpg on highway. Test drivers are also not happy with the performance of the engine in the base model. If you consider the diesel model, it shows the rating of 18 mpg in city and 25 mpg on highway. It is the best average in its class, but on in TDI Diesel model. The power and performance are also better than the base model. We will simply call affordable SUV with high performance. Although the base model Volkswagen Touareg has some flaws, but the diesel option is reasonable. Volkswagen Touareg is nearly identical to Porsche Cayenne, but the price is the advantage to Volkswagen Touareg. Volkswagen Touareg is the better option if you are considering other SUVs. However, Volkswagen Touareg loses a few options in 2010 model like V8 Engine, adaptive Cruise Control and lane change assisting system. Some new features added to Touareg like standard wood interior and Bluetooth connectivity. The response from buyers is not positive though on the changes, but still it is acceptable. It receives many changes and VW has redesigned it, also added the hybrid model. The only drawback is that the new 2011 model sitting right next to it and going to market in early 2011. Volkswagen Touareg comes in two trims, the base VR6 SI and TDI Diesel Engine. If we talk about the base model, the performance is below average. On the other hand, TDI diesel model performance is very good. Test drivers are not happy with the base model performance. The diesel model has so much to talk about its power and performance. If you are looking for a powerful SUV, then Touareg is not the right choice, especially with base model. Volkswagen Touareg base engine produces 280 horsepower with 3.6 liter V6. The diesel model has less horsepower, but it is more powerful and efficient. It produces 225 horsepower and it comes with six cylinders common rail TDI engine. Reviewers recommend spending extra $4,000 on the diesel model because it’s worth considering. It is still reasonable price as compare to other SUVs. Both the engines come with six speed automatic transmission with turbo sports mode. Many reviewers are happy with the ride and say it is quite smooth, and it is distinctive from other SUVs. Some argue that it feels heavy during a ride. The off-road drive is about average, and some agree on the off-road performance. 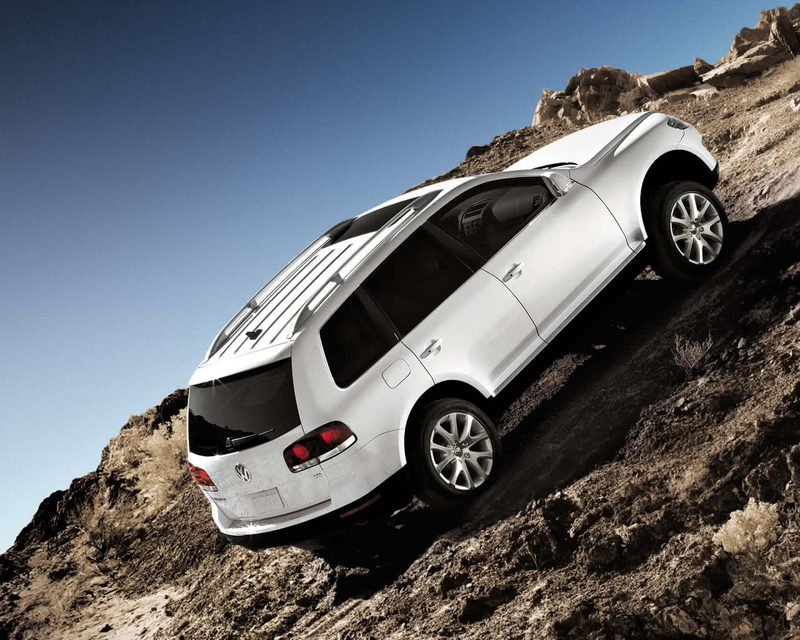 Touareg comes standard with a permanent four-wheel drive system. It has the low range gear and adaptive torque distribution system. Another advantage is that it is the only SUV that offers these advance systems as standard equipment with affordable price. The other off-road features include Hill Descent Control and Hill Ascent Control, which helps in difficult upward and downward climbs on mountains. VW Touareg’s provide enough space and has high quality materials. It does not offer third row sitting, but most of the SUVs of its class offer three row seating. Most of the reviewers say seating is comfortable and luxurious. We don’t have many problems with third row seat, but reviewers complain that it should be there. Volkswagen Touareg comes standard with V-Tex leatherette seat, heat front row seats and a 12 way adjustable driver seat. 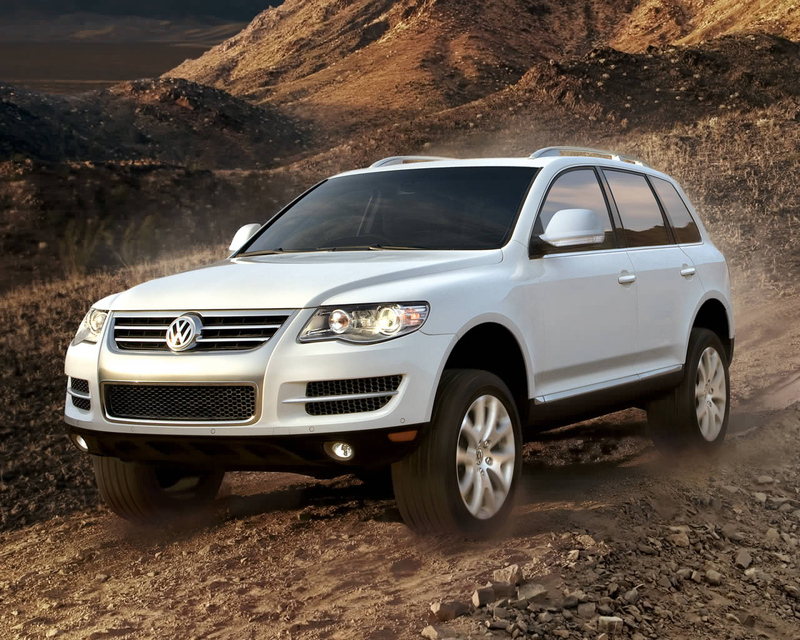 There are many features in VW Touareg both high on quantity and quality. The standard features include walnut wood trim, 10 speaker audio system, dual zone climate control, remote power tailgate, Sirius satellite radio, a CD Player, Leather wrapped steering wheel with audio and cruise control, height adjustable telescopic steering column and a Bluetooth Connectivity. There is a six disc CD changer in the cargo area, which is quite surprising because most of the new cars offer this in the front dashboard. There are optional feature as well, which includes navigation system with touch screen, 30 GB hard drive, rearview camera and an auxiliary multimedia connector. However, all the features take some time to learn. It also offers 31 cubic feat of space with all seats in use and can be extended to 71 cubic feet with second row folded down. This is sufficient for the class. Exterior is attractive and elegant, but most of the reviewers not happy. However, they like the sporty looks. The rear view of the vehicle is more attractive than the front, and it looks like a perfect mid size SUV. VW Touareg receives five out of five for front and side crash tests. It also receives four star rating in rollover test, which is very good. 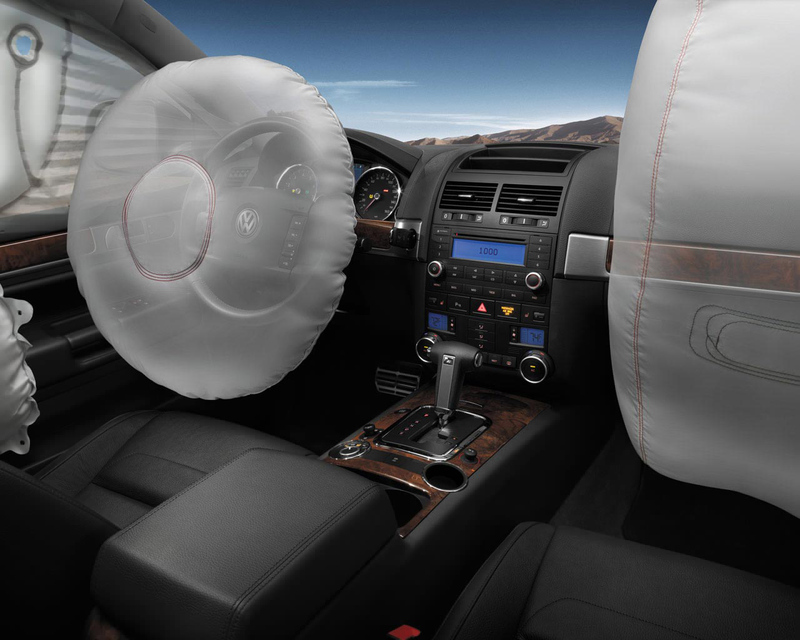 There are many safety features comes standard in Touareg like anti lock brakes, Anti slip Regulation, Engine Brake assists, Hill Descent assists, Hill Climb assists, Electronic Brake Pressure Distribution, driver and front passenger airbags, driver and front passenger side airbags, and front and rear side-curtain head airbags. There are other optional features like navigational system with a rearview camera with Park Distance control. The Volkswagen Touareg comes with three year or 36,000 miles limited warranty and five years or 60,000 miles power train warranty.